Harbor Freight Tools carries a wide variety of items that will help you keep your garage, shop or other work area clean and safe. Check out these featured items! Tired of dirt, debris and plumes of sawdust dirtying up your work area when using power tools? This device solves that problem quickly and easily. The 2 HP dust collector delivers powerful dust collection exactly where you need it. With 1550 CFM air flow, this portable dust collector is more effective than many big stationary units, filtering particles as small as 5 microns. Four locking swivel casters make positioning a cinch. The Dust Collector Accessory Kit (sold separately) contains everything you need to connect the 4 in. dust collector to your shop equipment. Whether it’s a wet mess or a dry mess, it’s still a mess and it needs to be cleaned up! The powerful motor of this 5-gallon wet/dry shop vacuum will make quick work of it. Lightweight and portable, the shop vac features a corrosion-resistant tank and blower mode to swiftly dust areas and shop equipment, three extension wands—crevice tool, floor nozzle and filter bag as well as a dust bag. An integrated float valve stop prevents overfilling. Tried and true—and a must-have for quick clean up. This dust pan has a comfortable bent-tube handle and an extra-wide 16-in. mouth so dirt and debris can’t escape. Pair it with the 7 In. Bench Brush which features a lacquered hardwood handle, hang-up hole and extra-long synthetic bristles to effectively trap dust, wood chips and metal shavings. Cleaning up rogue hardware is a pain! Unfortunately, the easiest way to find it is by stepping on it—and that’s not a good strategy, especially if it’s nails! Problem solved with this magnetic sweeper. The device features a 30-inch wide sweep head, 50 lbs. of magnetic pull, 7-inch diameter smooth-rolling wheels and an adjustable handle that extends from 30 inches to 44-1/2 inches. The one-pull release quickly clears the accumulated debris. Works on shop floors, carpets and grass. Keep your work area clean with these great items from Harbor Freight. And be sure to check out other cleaning and maintenance items at your local Harbor Freight Tools store. Your house has endured the elements for several years and it’s time to repaint the exterior. You call painting contractors to get estimates and discover that you may need to take out a second mortgage to get the job done! Painting your home’s exterior by yourself can help you save a bundle of money, but you don’t want the end result to look schlocky! With these tips and tricks, and a little help from Harbor Freight Tools, you can do the painting yourself and get professional results! Sounds obvious but weather definitely needs to be taken into consideration. The last thing you want to face is a downpour in the middle of the job. Choose a dry time of the year with little to no rain and lower humidity. The quicker the paint dries, the better off you’ll be. Avoid high winds as well. Not only will it make it difficult to work and could pose a hazard (e.g. working from a ladder), but the wind can blow dirt and debris on your freshly painted surface. Should you use a sprayer, rollers or brushes to apply paint to your house? Here are a few considerations to determine which method is best. Use a sprayer if you’re painting gutters with the trim, areas with all siding and no brick, or when staining fences and decks. You should go with a roller or brush when the wind is above ten miles per hour, painting above a roof (overspray is an eyesore), when there is simply too much to mask, or when there is only one coat to apply (prep time to spray would be less efficient). Painting trim will most often require brush work exclusively. High quality paint provides better coverage compared to cheaper paint and will also last longer thanks to advances in painting technology. You don’t want to go through all the effort of painting your house only to watch the color quickly fade. High quality paint will retain the color longer. Another consideration is whether or not to use a primer … Prep, prime, sand and apply your color coats was the tried-and-true method for years. But with new paint technology, manufacturers are combining primer and paint into one product, which means less coats to apply. While there’s no standardized method to evaluate or rate how well a combination primer/paint will work, you can get a good idea by reading product reviews about certain brands of paint online, paying particular attention to people who have used a given product in your area. The lion’s share of painting work is really in the prep—and the better you prep the surfaces being painted, the better the results will be. Taking a pressure washer to the exterior is a great first step to get rid of surface dirt. Once dried, scrape and sand surfaces as needed—and then scrape and sand a little more. Be sure to prep every square inch, including the trim. New paint will not adhere well to peeling paint or dirty surfaces. The old saying “put lipstick on a pig” probably came from a painting contractor. It’s futile to paint rotten wood or siding material because it will continue to deteriorate—and take your new paint with it! For small areas, you can use a wood hardener with a filler product. For large areas, consider replacing the components. Once replaced, prep as recommended above and you shouldn’t have a problem. Take individual gallons of the same color paint and mix them together in a larger container, like a five-gallon bucket, until the paint is uniform in color. Pros call this method “boxing the paint” and it helps to produce color consistency when applied. Working with gravity will help control streaks. When drips happen, and they will happen, working from top to bottom enables you to feather out in the direction you’re going, resulting in a more uniform look. When you’re done for the day, seal your paint well to keep it from drying out. Lightly hammer lids shut with a rubber mallet. You can also apply plastic wrap over the opening to secure a tight seal. New paint will look great on your house—not on your hedges, lawn or flowers … Use drop cloths and either weigh them down, wrap or tie down the corners securely around the planted area, shrubs, etc. The airless paint sprayer does it all and will greatly reduce the time spent painting exteriors, decks, ceilings, doors and frames, etc. No need for a compressor, just plug it in and start painting! You can paint straight from 1 or 5 gallon buckets which makes cleanup easier. Features include a 1000–3000 PSI piston pump for high pressure and better coverage, easy pressure control twist knob, built-in filter for simple flushing and cleaning, and a No. 517 nozzle for a 12–16 inch fan width. This scaffold is an essential tool for outdoor painting as well as interior painting, drywall work, etc. With a weight capacity up to 900 lbs., this portable scaffolding goes where you need it on smooth-rolling 5 in. dia. casters that won’t mar floors. Once positioned, the casters lock in place for stability. Additional features include heavy-duty welded steel construction, adjustable platform from 28 in. to 71-1/8 in., 30 height adjustment positions, built-in fittings for optional toe-boards and safety rails, and a 28-1/2 in. x 67 in. wooden plank. Greatly reduce prep time with this orbital palm sander. The industrial fan-cooled motor delivers up to 12,500 OPM to smooth wood and get surfaces ready for painting. The sander features a comfortable rubber palm grip to reduce fatigue. The 3/32 in. orbit delivers swirl-free results. The hook-and-loop pad attachment makes sandpaper changes quick and easy. And that’s just the beginning. Harbor Freight carries painter’s tape, scrapers, roller sets, mixers, brushes—and much more! Before you start painting, be sure to visit your local Harbor Freight Tools store. Pure pumping power—nothing watered down here! Whether it’s a small garden fountain, large pond or anything in between—you want a pump that’s efficient, reliable and powerful. Look no further than the Creekstone line of submersible pumps! Bring your fountain or water feature to life with this submersible pump generating up to 158 gallons per hour. Features include an inline flow control valve, easy-to-remove inlet screen for quick cleaning and a removable stand with suction cup feet for positioning. When you need a bit more muscle, this submersible pump generates up to 200 gallons per hour. In addition to an automatic low-water shutoff sensor to prevent motor burn-out, this pump also features an easy-access filter, inline flow control valve and two adapters—sprinkler and waterfall heads. This pump is not available in California. This high-quality pump generates up to 264 gallons per hour and will add life and beauty to your pond. 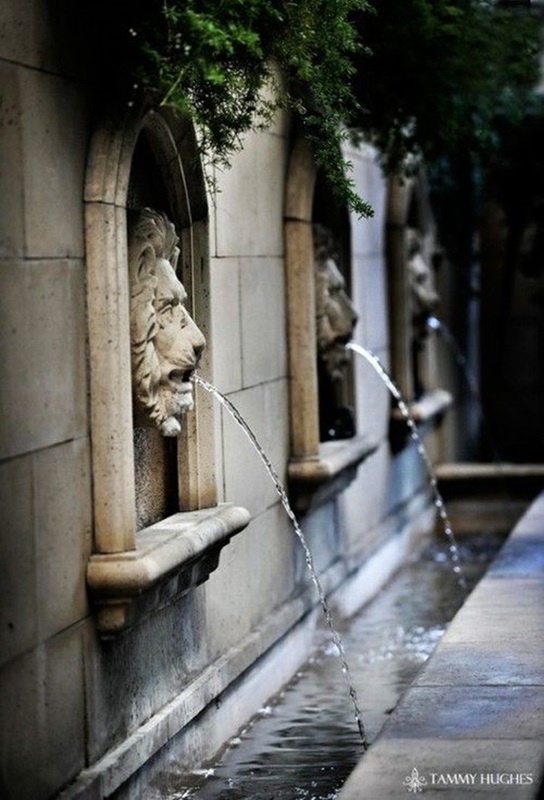 With the two included adapters, you can shoot a fountain of water skyward or create the look of a natural spring. Other features of this submersible pump include an inline flow control valve, removable filter for easy cleaning and removable stand with suction cup feet for placement. For larger ponds or water features, this submersible pump generates up to 620 gallons per hour. The pump features an inline control valve, removable filter for cleaning, removable stand with suction cup feet and two adapters so you can shoot a fountain of water upward or create the look of a natural spring. Designed for continuous use, this high capacity pump generating up to 2500 gallons of water per hour supports a waterfall weir up 1-1/2 feet wide and five feet high. The energy efficient motor uses less power compared to standard water garden pumps. It provides 19 feet of total head lift and has an easy-to-remove filter for cleaning. There is no oil inside so it’s safe to use in ponds with fish. This high-flow pump generates up to 4500 gallons per hour and supports a waterfall weir up to three feet wide and five feet high. The pump is designed for continuous use and features 23 feet total head lift. Additional features include an easy-to-remove filter for cleaning and no oil inside so it’s safe to use in ponds with fish. In addition to the Creekstone line of submersible fountain pumps, Harbor Freight also carries sump pumps, sewage pumps, fuel transfer pumps, well pumps, compressor pumps and more! Check out all pumps and accessories at your local Harbor Freight Tools store.